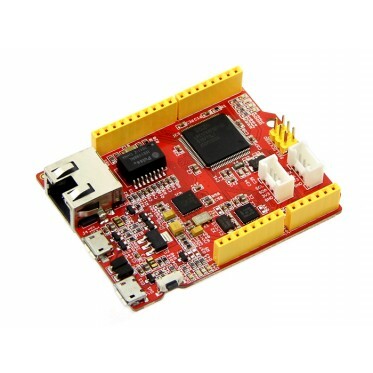 Arch Pro is an mbed enabled development board for rapid prototyping. 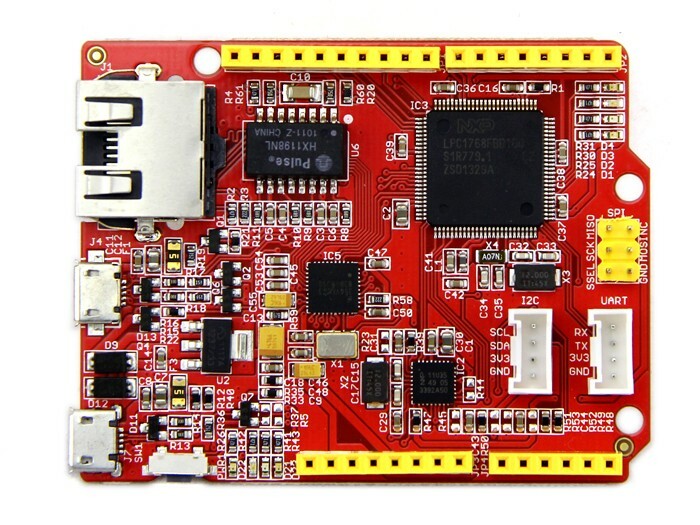 It's a variant of mbed LPC1768 with build-in Ethernet, USB Host/Device, Grove connectors and Arduino form factor. 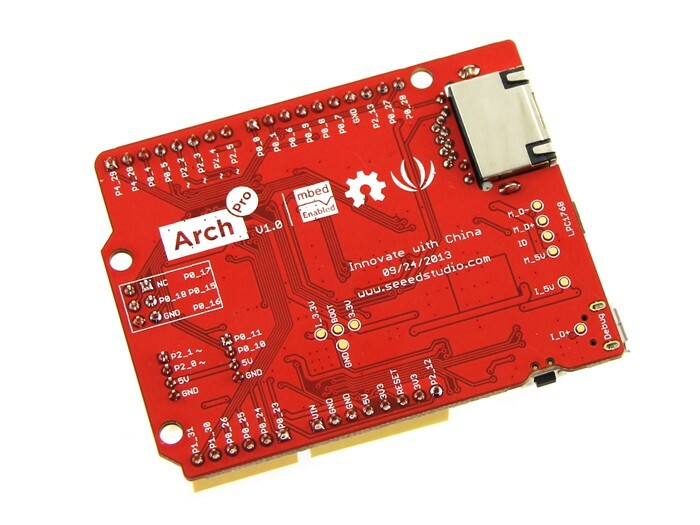 With a variety of Shield and Grove modules and lots of software libraries for Arch Pro, you can implement Ethernet, USB Host/Device and NFC applications rapidly and easily. 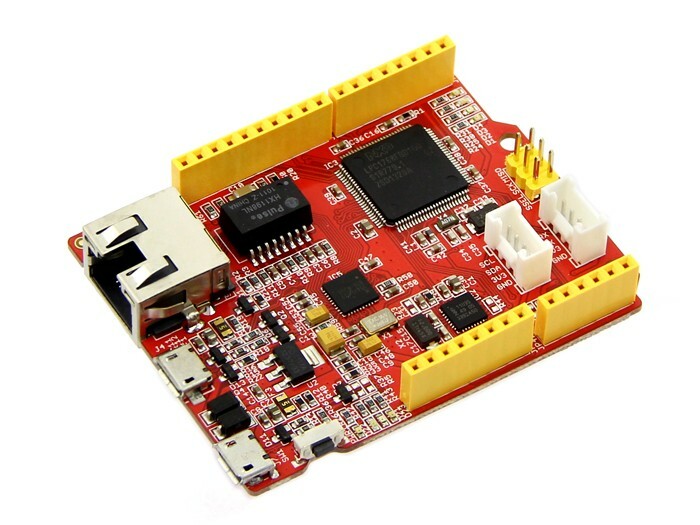 Specification mbed enabled Online development tools Easy to use C/C++ SDK Handy libraries Arduino form factor with two Grove connectors Drag-n-drop programming Debug using CMSIS DAP USB virtual serial for communication NXP LPC1768 MCU Powerful ARM Cortex-M3 core Up to 100MHz 512KB Flash, 64KB RAM Ethernet, USB Host/Device, 4xUART, 3xI2C, 2xSPI. Documents Please visit our wiki page for more info about this product. It will be appreciated if you can help us improve the documents, add more demo code or tutorials. For technical support, please post your questions to our forum.